Shipping Dimensions: 10" x 8"
Contains 16 glow stars and double-sided adhesive tapes. Explore the solar system in your own room! Take the 16 different sized stars and stick them up around your room. Turn off your lights and wash them shine in the dark! 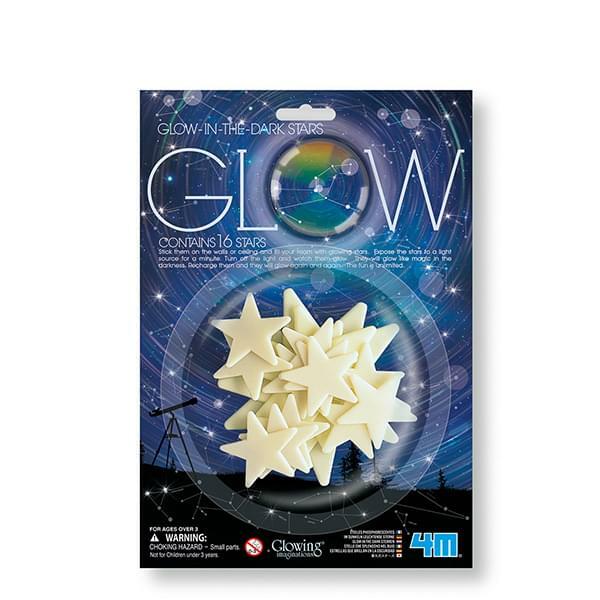 If You Liked 4M Glow Stars, See More Related Products Below!